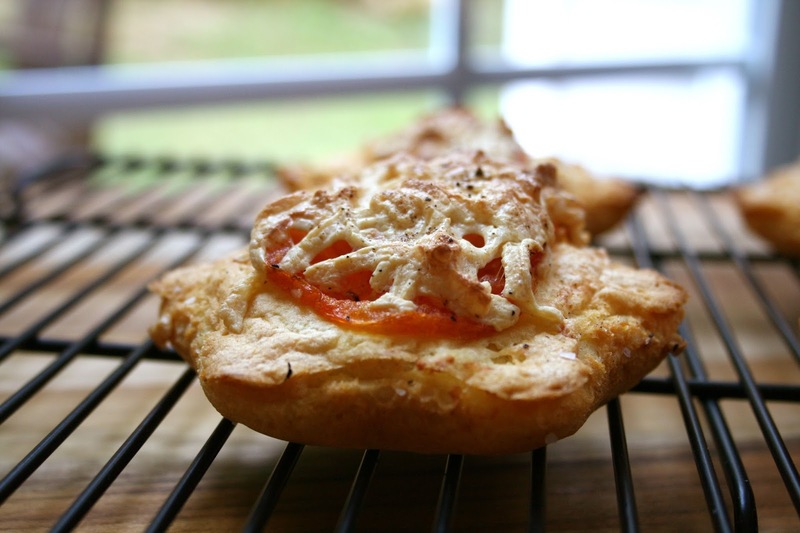 Mini Cheese Tomato Flatbreads and a Daiya Giveaway! Happy Monday friends! I would definitely go so far as to say this is a Marvelous Monday! I have something delicious to share with you all! I feel like time is flying by these days. I sadly don't post here as much as I would like to. Instagram seems to be my go to for posting pictures of things I'm currently making. This little baking adventure is definitely worth sharing here though too! Besides, I have some freebies to give away to 3 of you too! 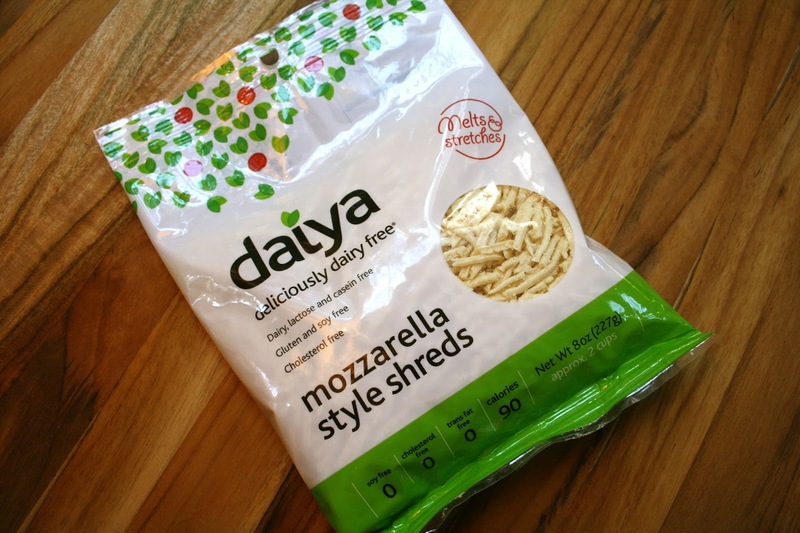 When I first had to go dairy free, there were really no cheese alternatives that were worth eating...until Daiya came around. I've actually grown accustomed to not having cheese alternatives in my life. There are some instances though, when cheese makes things better. When those instances come up, Daiya is definitely my go to cheesy alternative. I'm so glad I did this! 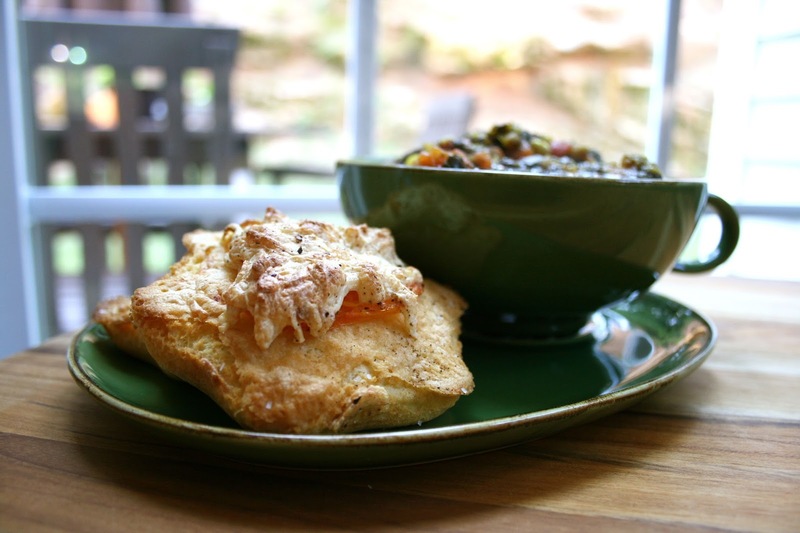 The addition of Daiya along with the fresh tomato, some kosher salt and fresh ground pepper made these mini flatbreads such a great accompaniment to a big bowl of lentil spinach stew. Crispy on the outside, soft and fluffy on the inside with a creamy topping all melty and gooey...YUM! Combine the dry ingredients in a bowl. Add the wet ingredients and mix well. Pour batter evenly into greased muffin tins (I used those tortilla taco shell pans). 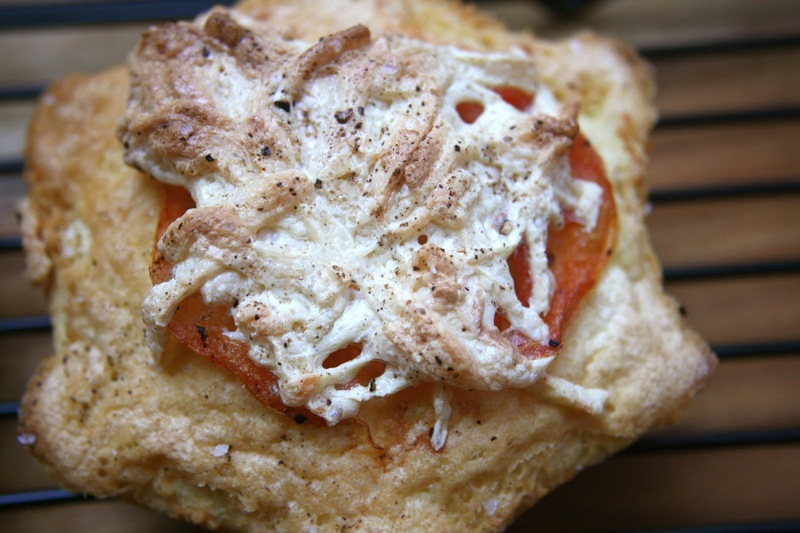 Bake at 450 degrees for 5 minutes, then top with tomatoes and Daiya. Sprinkle with kosher salt and fresh ground pepper, bake for an additional 15 to 20 minutes or until lightly browned. Now, for those of you interested in giving Daiya a try, leave me a comment here telling me your favorite cheesy dish. I definitely want to share these coupons with you so you can enjoy your favorite dairy free cheese dishes again too! I will pick a winner Monday, September 2nd. I'm sharing this on Slightly Indulgent Tuesday and Allergy Free Wednesday this week too! I am pregnant, obsessed with mac and cheese, lactose intolerant, and would love to be able to indulge in it!!! I'm vegan and Daiya is my go-to when I need a cheesy fix! I like the shreds from time to time, but actually prefer the cheddar slices for my veggie burgers. They're expensive (ugh) but perfect when I have a craving. So nice of you to share! Just pinned this. I love Daiya and am so glad to have it as an option. I love that it really does melt like cheese and tastes like it for the most part. I've not tried the slices yet. Love using block style for grilled cheese sandwiches. Believe it or not I love cheese with Daiya Jack or Havarti cheese & crackers and it's nice to be able to eat a grilled cheese again. Love Daiya!!! I would love to make a grilled cheese with tomato and onion. yuuummmm! it is SO GOOD to see a post here, Sarena! I cannot say I've "missed you" since I have the privilege of being your friend, but I have missed your recipes and posts here. I saw these yesterday and Mmm, do they look good - I love anything tomato + cheese. My favorite cheesy dish is pizza!! I like using Daiya for this purpose, as it's the closest to the real thing!! 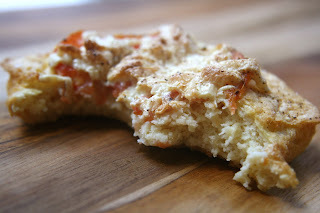 oh daiya, ooye gooey goodness on this GF bread. You are one hell of a cook! I need you to make an ebook. I've been intrigued by vegan cheese for a long time. It's about time I've given it a try - especially with creamy baked ziti! This is great! I have been looking for alternatives and have not found anything good so far. I would love to try this in some lasagna! I have given it up completely and miss it! I would love to use this to make some mac and cheese! I love using Daiya to make gluten free, vegan mac n cheese. It isn't healthy, but it is delicious!!! Those little chickpea breads look amazing Sarena! I haven't been into cheese or cheese alternative in the past, but lately, the cravings are hitting! I'm a vegan and haven't had a cheese-yearning for years and years...however, my husband won't give up his beloved cheese. Daiya is the only non-dairy alternative he'll eat. I'd love to make him a grilled cheese...or his favorite -- quesadillas. I love broccoli, brown rice, and Daiya wedge casserole.. so yummy, and is hte best comfort food! This recipe looks gosh darn fantastic Sarena. :) Can't wait until we can sit and eat together. I forgot about the Daiya cheese. I may have to go look for it. I have never even heard of Daiya, that's awesome! I'd have to go with pizza or mac and cheese! any Italian dish is what I crave, but also quesadillas. 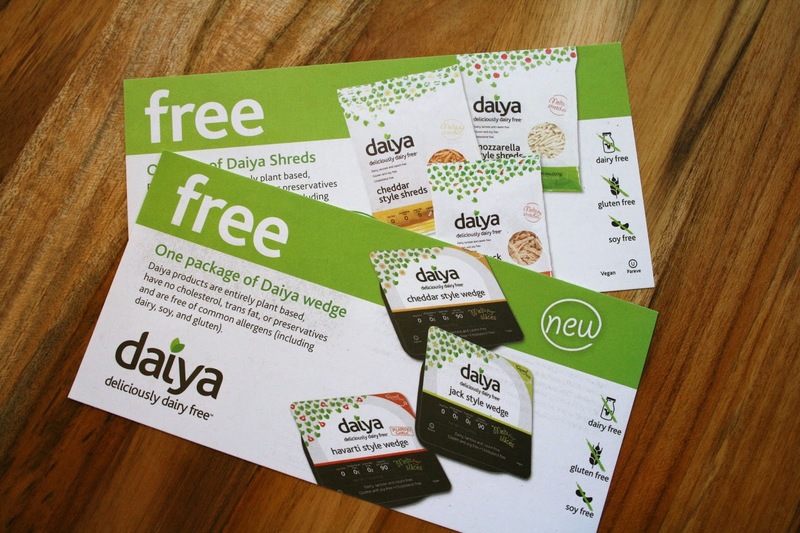 I would love to try Daiya! My zucchini crust pizza is definitely my favorite cheesey dish! 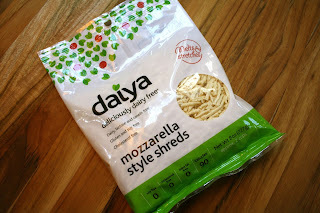 Daiya is, by far, the best cheese alternative out there! I stock up and freeze it when it's in sale! i'm not completely vegan, but i LOVE vegan cheeses. I have no idea why, but i usually don't get them because they are more expensive. #poorgirlproblems. i would love to be able to have some in the house! I tried Daiya for the first time a few months back - and was convinced I'd hate it. I actually loved it under the broiler on an english muffin, dipped in marinara. Such good comfort food! 10 years ago, when I developed a dairy allergy, the alternatives were downright gross! Daiya has completely changed my life!! Probably the best thing I've ever made with it is a kickin' dairy free lasagna (soooo good!) but anything I use it in is delicious! Had a slice of cheddar-style in a fried egg sandwich yesterday and I didn't want it to end!! I developed a dairy allergy 10 years ago and the cheese alternatives then were GROSS!! Daiya has been such a great surprise!! The best thing I make with it is an amazing dairy-free lasagna with the mozzarella shreds (soooo good!!). It's an indulgence, so I stock up when I see it go on sale. I love cheddar slices on fried egg sandwiches, burgers - really any of the slices make a great sandwich and I eat slices of the block cheese as a snack, as I did when I could eat real cheese. So great!! We LOVE Daiya cheese! I use it often for my kiddos. This is such a great recipe, Sarena!! My brother who is a newly diagnosed celiac, dairy-intolerant (including eggs) and then some... WOULD LOVE THIS STUFF!!!!!! He misses pizza so much! *I have been free of all of these things for a LONG LONG time, I don't even remember what cheese is!LOL!